Oracle Text: Target player reveals their hand. You choose a nonland card from it. That player discards that card. You lose 2 life. 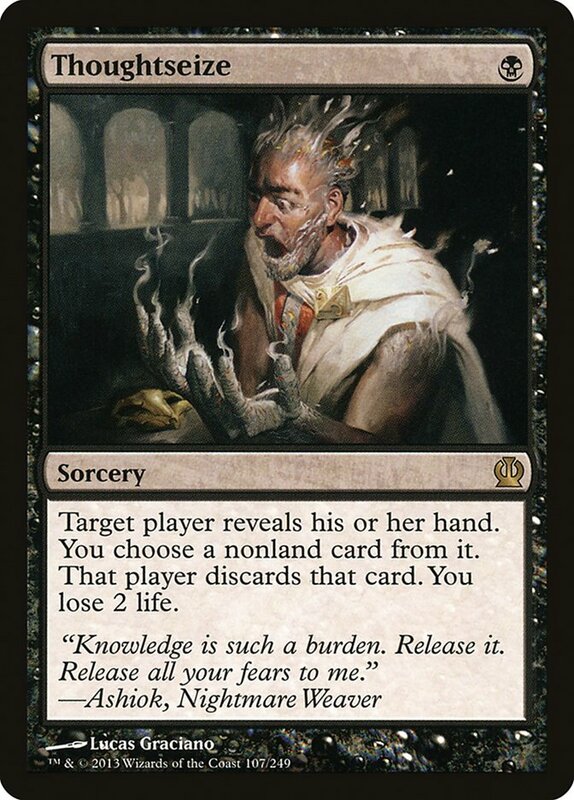 Flavor Text: "Knowledge is such a burden. Release it. Release all your fears to me."